As our last entry – An introduction to live◦learn◦love at Cheras where we covered the location, accessibility and the surrounding amenities, this write up will focus more on the development itself providing you some info and numbers. You can read this part without referring to the previous entry but we recommend you to get some hindsight from it so that you will be able to appreciate the entire overall master plan. 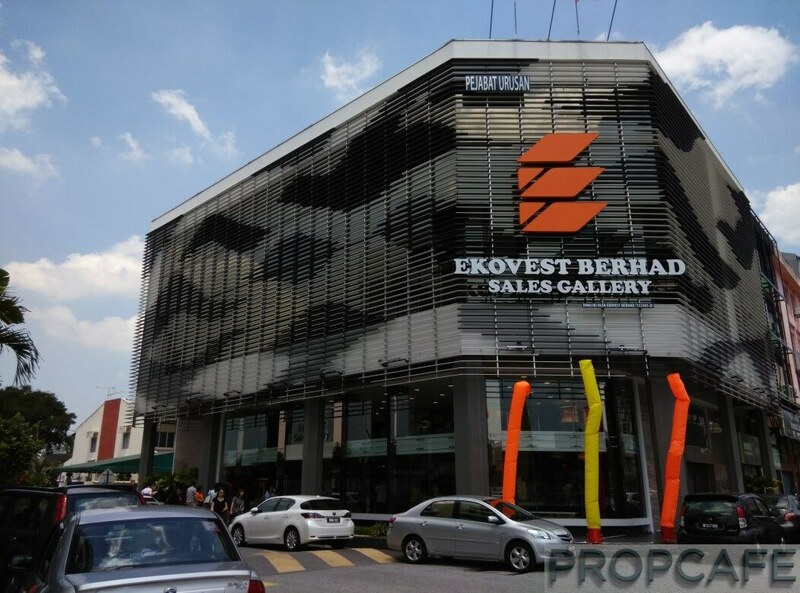 However, Ekovest came out with a new brilliant concept in 2014 and with some magical touch, Ekovest managed to amend EkoCheras from the shop offices concept ala “Publika” to full fledge shopping mall concept. The amendment to the original DO approval with mall concept was obtained on Nov 2014 and Building Plan approval with mall concept was obtained on end of Feb 2015. 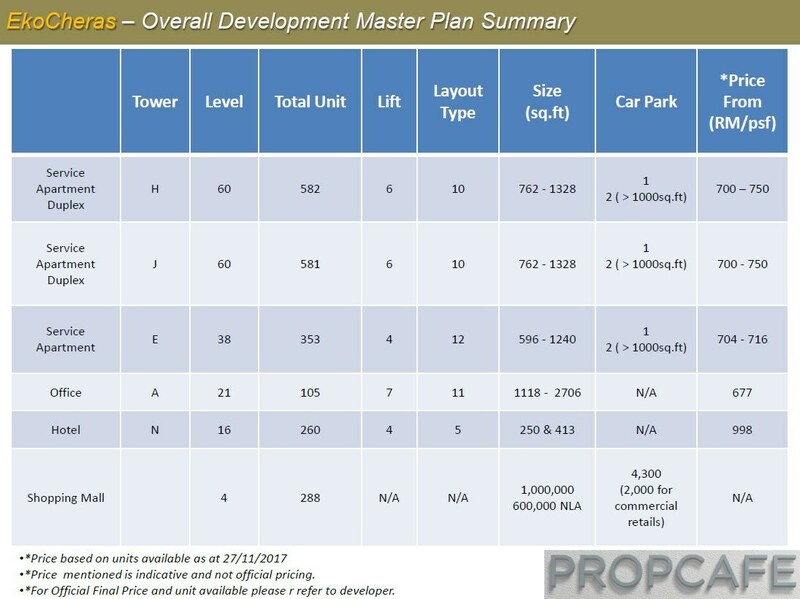 Just a quick recap on the latest overall development master plan; Ekocheras is a transit oriented (TODe) integrated mixed-use development sitting on an approximate 12 acres of prime freehold land along Jalan Cheras with a gross development value (GDV) of RM2.11 billion. 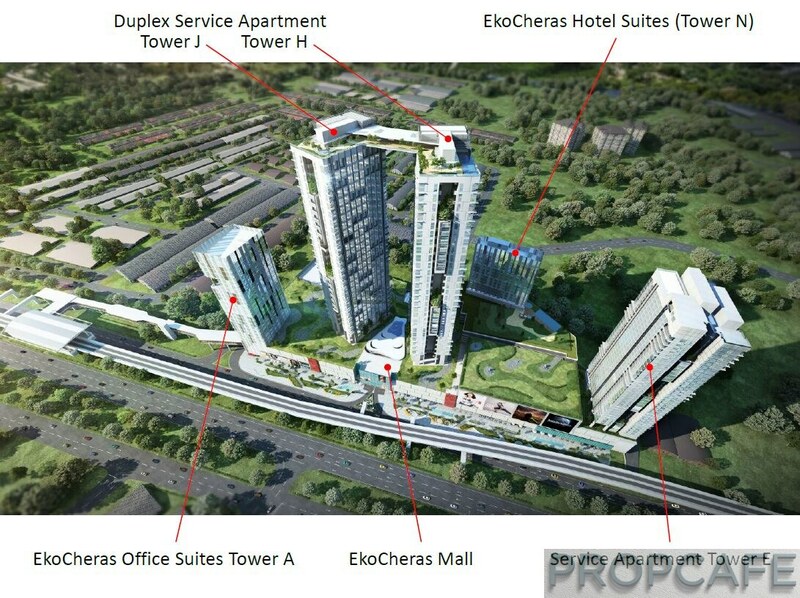 EkoCheras will be one of the tallest duplex twin towers service apartment developments in Cheras. Tower H and J crowned as the “King and Queen” of the EkoCheras standing 260 metres tall from Jalan Cheras level and connected by a magnificent Sky Lounge, linking the two towers with a span of 25 meters. It is definitely not easy to build such a tall two linked-mirrored towers from architecture and engineering point of view. It is lot more complicated that you could ever imagine. The first question in our mind is how do they maintain the parallelism of these two towers standing straight up to the sky without any slanting or tilted like the leaning Tower of Pisa? 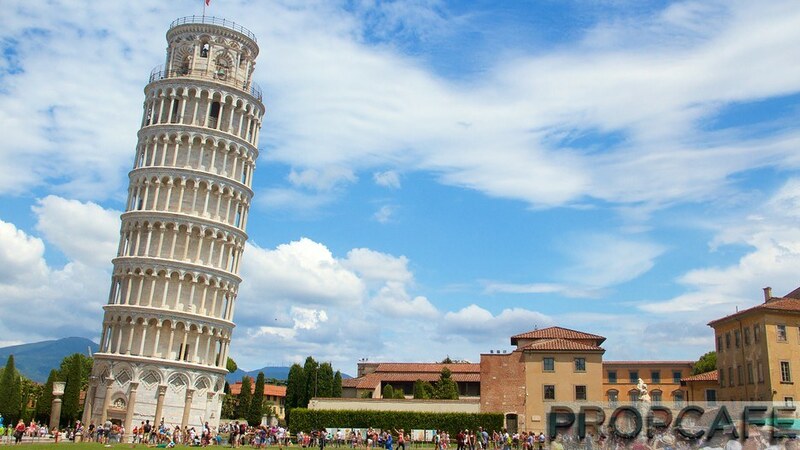 Otherwise we would have the Leaning Tower of Cheras instead of the Cheras Twin Towers. For us this more than just a typical building; it is a marvelous piece of art and probably could be one of the most iconic building and prominent landmark of Cheras. Kitchen Cabinet, Air-Conditioner, Hob and Hood. If tower H & J are the King and Queen of EkoCheras, then Tower E would be the Prince of EkoCheras. 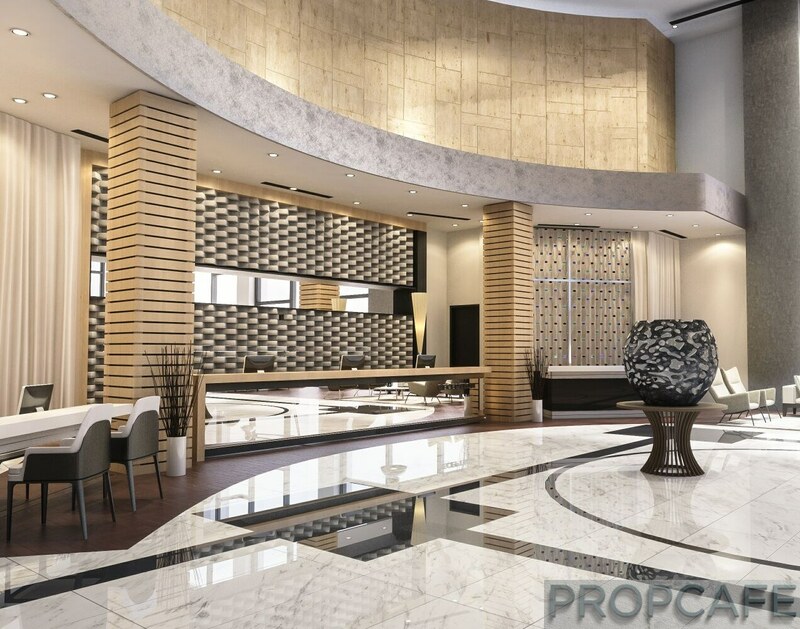 Located at the corner of EkoCheras and has the lowest density of residential unit with only 353 units in total spread across 38 levels making this tower is one of the most exclusive tower in term of privacy. 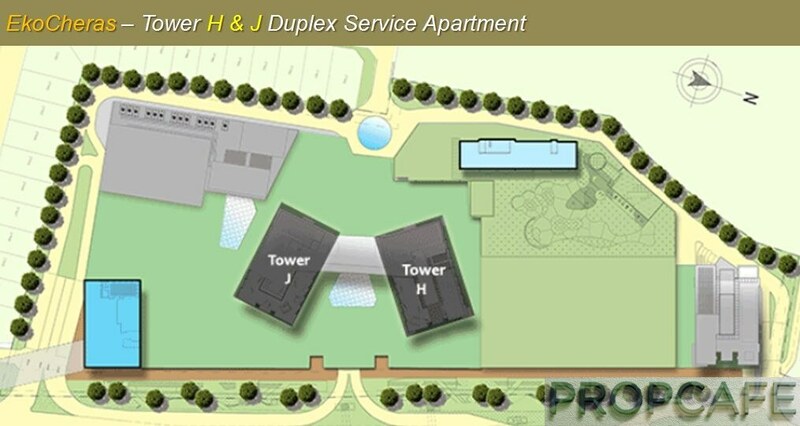 In addition, Tower E only consists of single level service apartment as compared to the 100% Duplex layout units of Tower H & J, and we think this is to cater for those who don’t prefer climbing staircase as part of their daily life making Tower E more elderly-friendly. Perhaps this could be one of the reason why Tower E is the popular and preferred choice among those who young at heart… slightly older in other places. 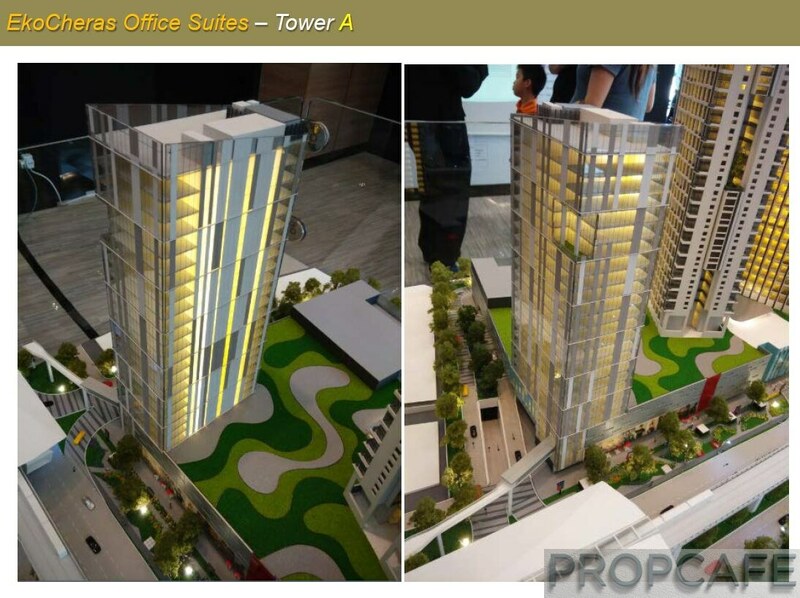 EkoCheras Office Suites Tower A comprises of 105 office units with total area of 180,000 sq ft. 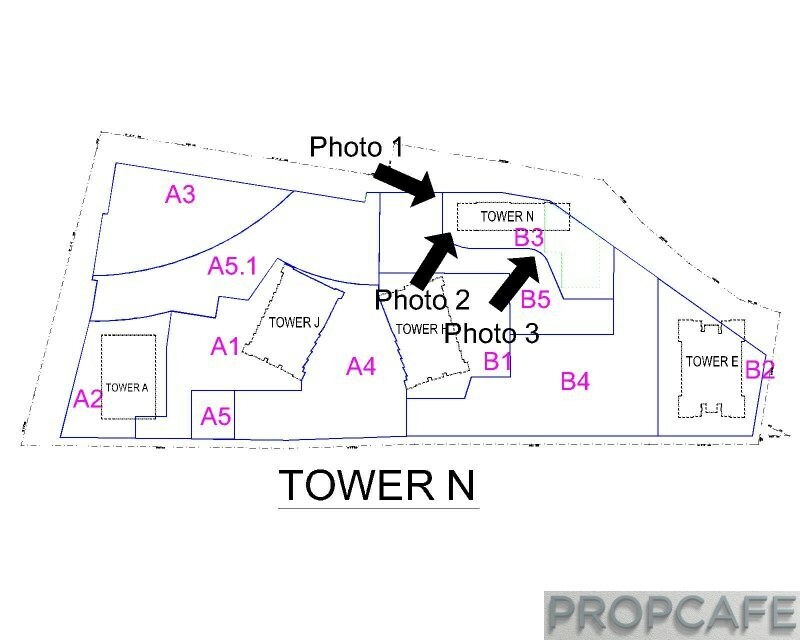 The 21-level Tower A is located at the left corner of EkoCheras and having the most premium location because it is the closest tower to the MRT Station. Size of EkoCheres office suites varies from 1118 (smallest), 1326, 1427, 1829, 2222, 2303 to 2706 sq ft (largest) and equipped with full fibre optic facilities. Contemporary modern office such as EkoCheras Office Suites are rather a rare product at Cheras. We heard the take up rate of the office was quite positive and most of the buyers are business owners from Cheras looking either for an expansion or an upgrade from current office setup. There are also few who are currently renting at Cheras looking for opportunity to become owner themselves. The fact that there is 6+1 lifts to serve this building does amaze us somehow. EkoCheras Hotel Suites is located at the rear of EkoCheras partially hidden diagonally behind Tower H. The hotel suites tower N comes with double volume design lounge and lobby at the ground floor; giving it a feeling of more grand and spacious entrance statement. We won’t cover much about EkoCheras Hotel Suites in this article as we will focus more on the residential components. 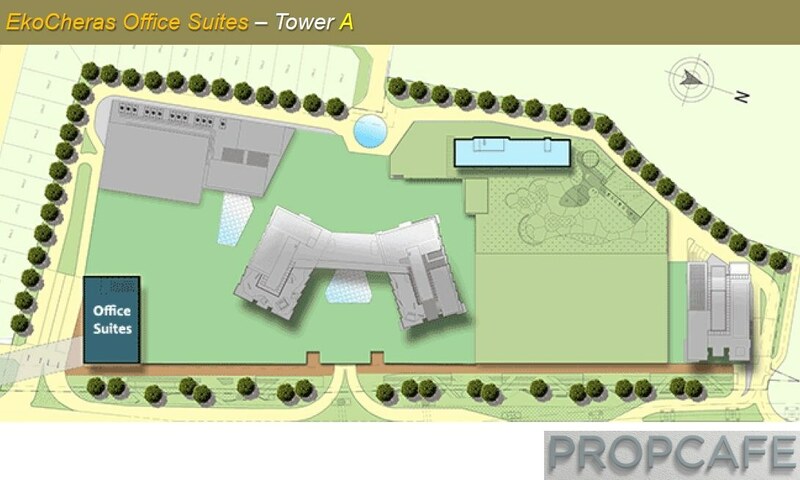 We are still digging more information on the hotel suites. Part of an integrated development with service apartments, hotel and office building. 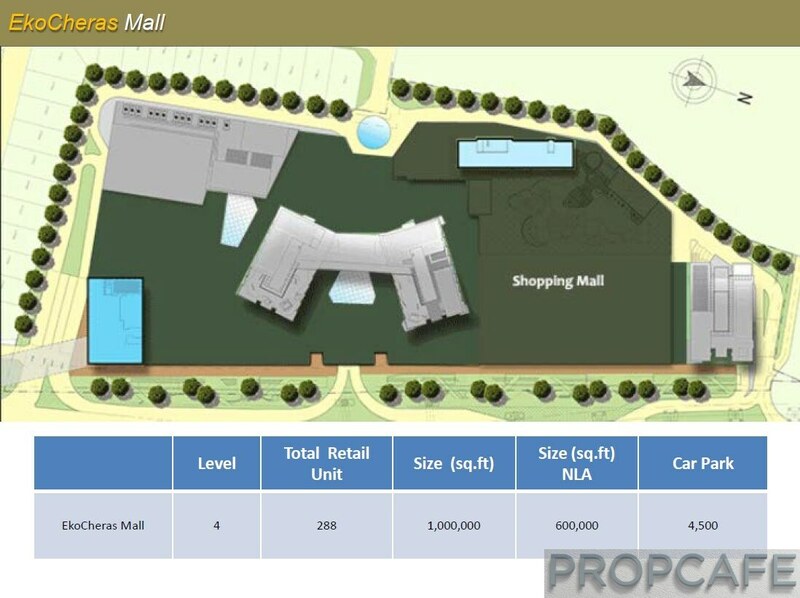 Although the mall form the largest component of the entire EkoCheras development plan and also one of the main key factor but we will not go into details in this write. You may notice that there aren’t many choices in Cheras when it comes to living at “Integrated Development”. The one with such concept at the other end of Cheras would easily charge you RM1,000 psf. The Gen Y and Millennials prefer everything within their reach, be it to work, play, eat, and communicate. They always prioritize purpose over price and focus more on “effective” living to satisfy their needs and happiness. Being directly linked to MRT station, yup, right outside EkoCheras, together with the “premium & glassy” design and everything within the roof, it ticks all the boxes to be the happening place in Cheras. 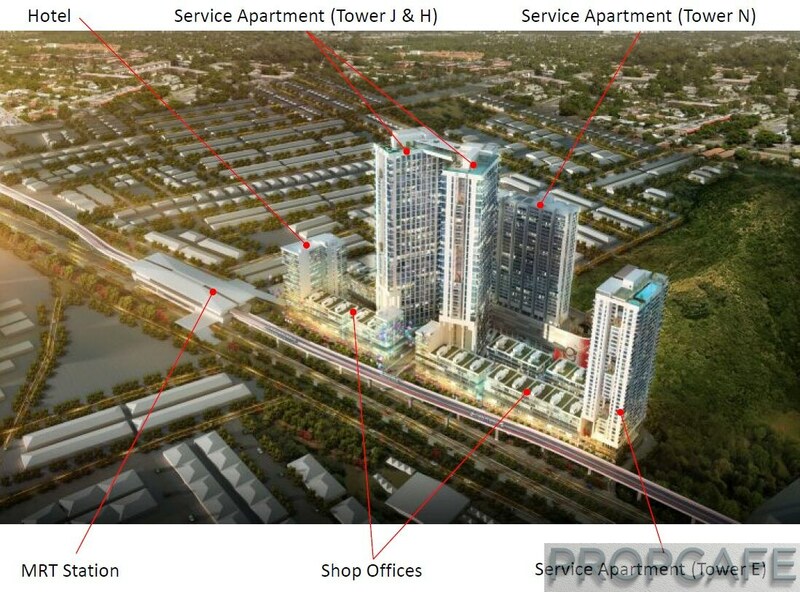 Some even called this project as the potential “Publika” of Cheras! 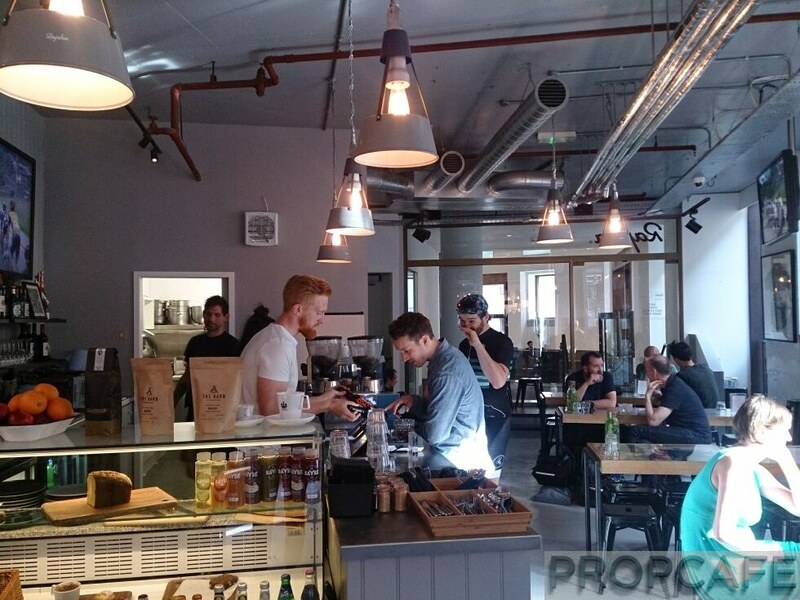 PROPCAFE™ sees EkoCheras as the catalyst to transform the perception of current Jalan Cheras to be a trendy and hippest hotspot for not only Cheras folks but travellers, businessmen, and foodies. 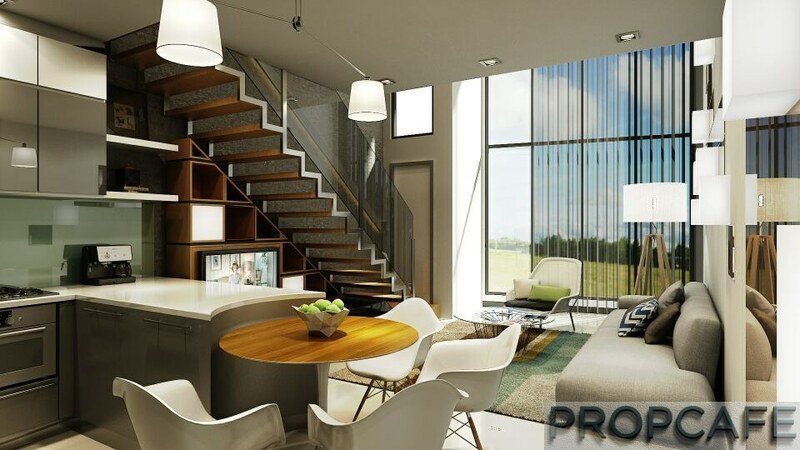 EkoCheras is definitely the pioneer to offer Duplex living in Cheras. With the growing population in KL and on-going trend of delay marriage, the demand from single, couple, double income no kids (DINK) segment is getting higher. The duplex concept mostly offered in higher enclave like Bangsar or Mont Kiara previously, however, nowadays this living lifestyle has spread all over Klang Valley and Cheras is no exception. What is great about Duplex compares to studio if size being equal? It is about cubic feet size, the actual space of living! 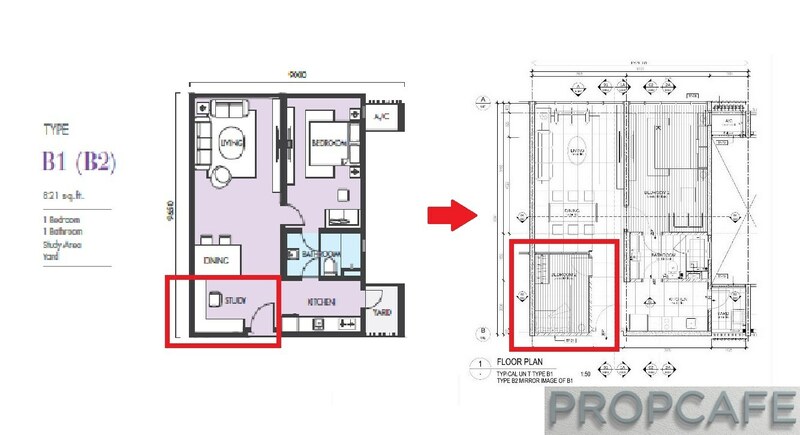 A duplex with the size 15(w) x 33(L) x 18(H) will equal to the space of 8910 ft3 which is double the space for a studio with similar length and width. The magic of double volume! However, the Duplex in EkoCheras comes with a mezzanine open space which may not be ideal for someone who prefer the privacy and cannot tolerate the smell from kitchen. Hey! It is single and couple living concept, own cook is expected to be less frequent and privacy is not the key for them! Having said that, it is still possible to cover up and make it a room at mezzanine floor but it may totally defeat the purpose of small duplex (Tower H & J) which offer you extra air space and double volume lavish duplex living, especially one would surely enjoy the floor-to-ceiling glass/window that come with full natural sunlight for this open-plan living space. To add on, due to the Duplex concept and premium attached, it would be lower likelihood that the property to be used for student accommodation or mass market compares to other types. It also means less human traffic and density. 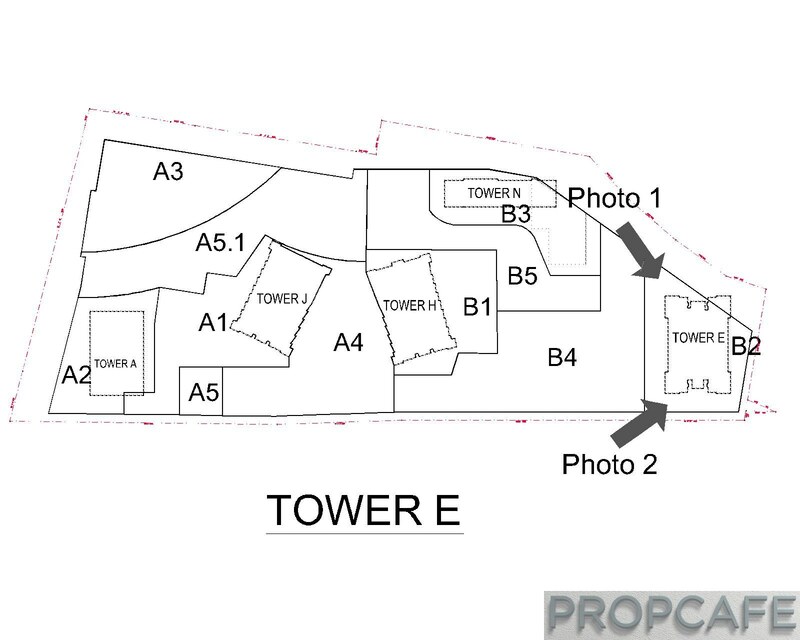 Tower J and H might look quite dense in term of number but if you look deeper; most of the units are 1 bedroom and that indirectly implicating that the number of people living will be lower if compared to the conventional design layout which comes with higher number of rooms. Well, if you are the person who loves conveniences and prefer more rooms for family members, there are other layouts with bigger size (Type B & C) that come with two rooms at upper floor. For all duplexes, owner can still possible to add the shower in powder room to convert it as additional bathroom given the space available there. Ideally, you would want a room down stair but it is still one of the better choice for someone who want to live like at the terrace house but doesn’t want to take care the bigger built-up and complexity of the maintenance for landed property. 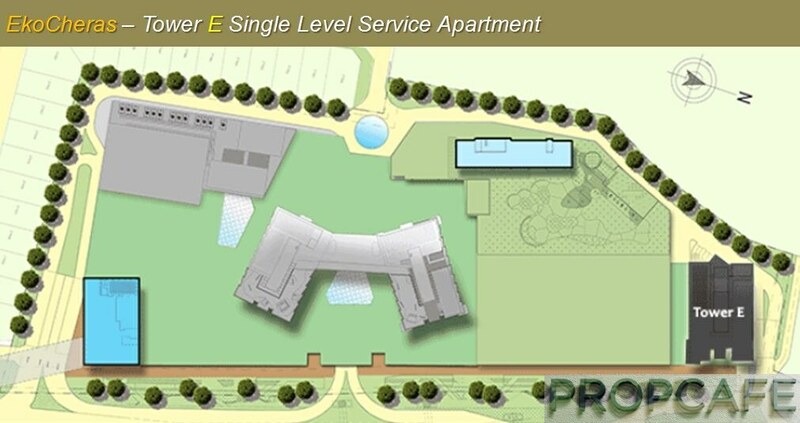 With only 353 units, Tower E offers smaller layouts like Studio and One bedroom apartment. The type B one bedroom’s kitchen can easily close up as wet kitchen with a proper yard. You also have to give credit to developer on their willingness to improve based on customer feedback. One notable change is its optimisation of the Type B* layout by converting the small study area to be a proper bedroom (*only applicable for those who signed the SPA from Oct 2017 onwards). In the other hand, the simplex apartment with two bedrooms (Type C & D) have all living room and bedrooms facing externally without issues of natural sunlight. 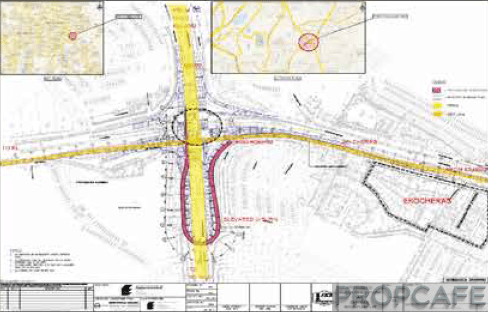 EkoCheras Development – Is it all smooth sailing? 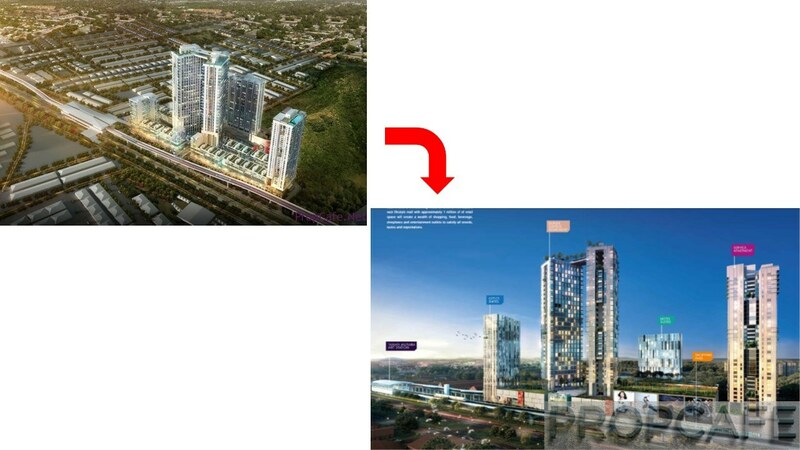 Since the soft launch of EkoCheras Tower J and H followed by Serviced Apartment Tower E in September 2013, the project is not a smooth sailing for Ekovest. 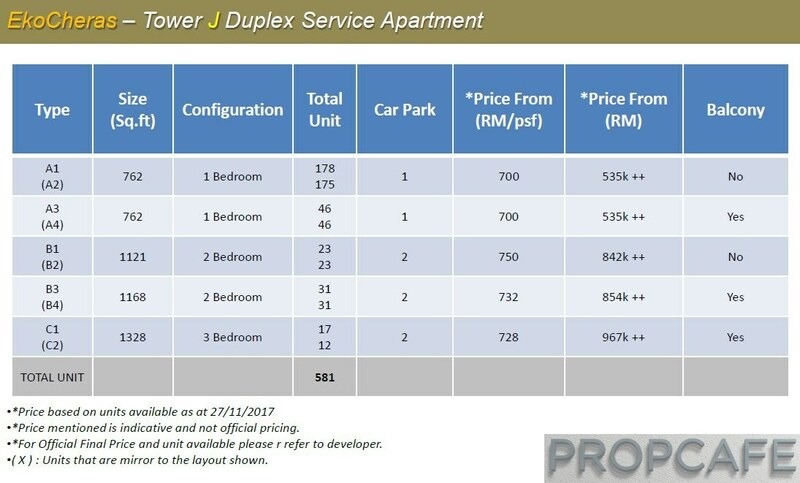 Being the most prominent site in Golden Triangle of Jalan Cheras, the project underwent scrutiny not only from the purchasers but all the stakeholders such as residents, shop owners within the development as well as thousands of motorists that using Jalan Cheras on daily basis. As much as some stakeholders would like a status quo due to uncertainties which may have detrimental impact on their livelihood and neighborhood, a sustainable development will enrich the life of stakeholders. As a responsible and social committed developer not only focus to deliver quality product to the buyers but they are also enhance the neighborhood. In nutshell delivers – INSIDE and OUT. The Cheras roundabout is notorious for the traffic congestion at almost every direction due to the ingress and egress to MRR2. This has caused the backlog along Jalan Cheras. For Jiulai Lang, caught at snail pace heading towards Cheras roundabout is common and is part and parcel of the daily life. Recognizing the need to alleviate the congestion along Jalan Cheras, Ekovest managed to secure RM80m grant from government to build dedicated ramp to channel traffic from Kajang bound to MRR2 KL bound. The ramp wlll allow motorists to bypass the choked Cheras Roundabout and offer direct passage to the MRR2 KL Bound. The queue at Cheras Roundabout expected to be reduced and subsequently ease the backlog along Jalan Cheras KL Bound. 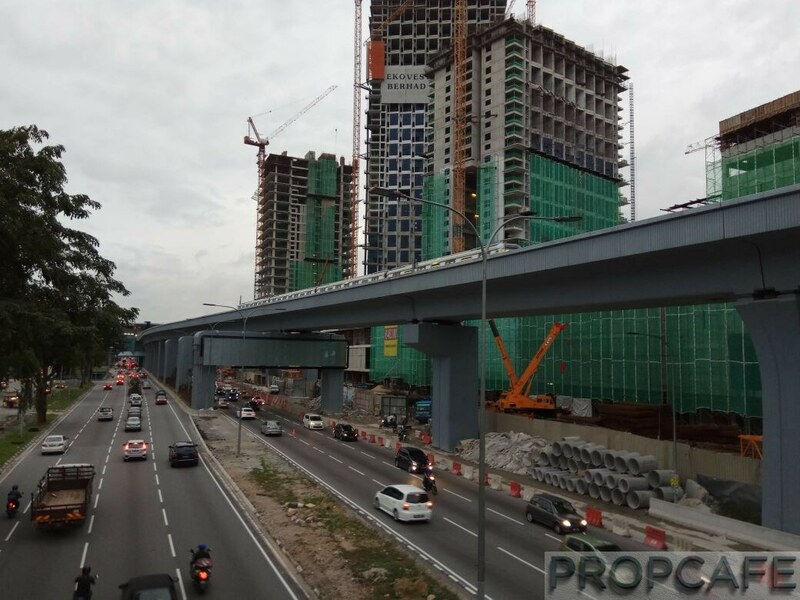 Ekovest also undertake to raise the Jalan Cheras KL Bound level by 1.5 m to mitigate the risk of flash flood in parallel with Road Widening in front EkoCheras. The road widening is necessitating the smooth traffic along Jalan Cheras from the motorists who enter/exit EkoCheras. And the fact is these infrastructure enhancements is almost completed despite the residential and office components are not anywhere in ready stage where the retail component is target to be completed by before 2nd quarter 2018. During the course of construction there are bound to be hiccup and challenges especially development of this scale. 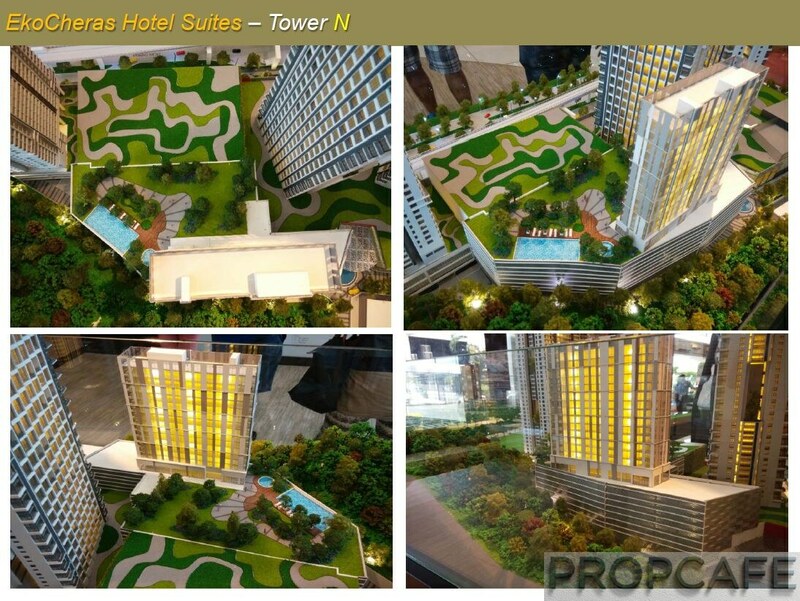 EkoCheras is a massive project that sits on 12 acres of Freehold land with GDV of more than RM2 billion. The management of Ekovest has decided from day one in order to minimize the inconveniences to all stakeholders they have decided to build EkoCheras at ONE GO inclusive the retails, office, residential serviced apartment and Hotel components. The impact to the neighbour is understandable however rather than dragged for 7-10 years due to multiple phases, it will only take EkoCheras 4-5 years to finish all the components in single phase. From this perspective, the developer effort should be applauded. And not only this…. When this development is envisaged in 2012 the concept is much simpler with shop office concept. Upon the approval of the Development Order in June, Ekovest has proceeded to soft launch the project Sept 2013. 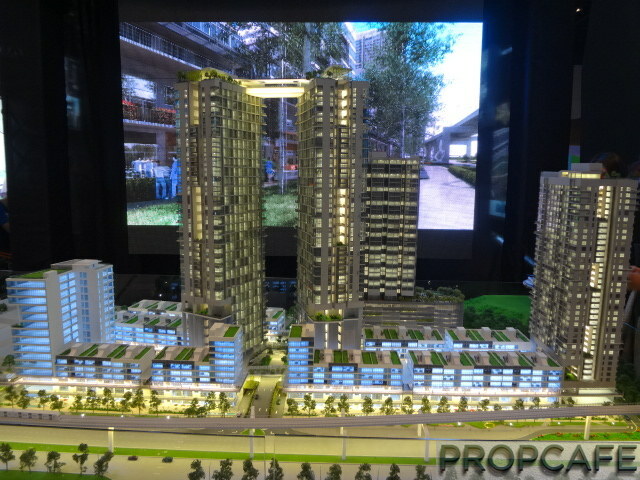 During the SPA signing, Ekovest undertake with purchasers to allow for plan amendment to mall concept. 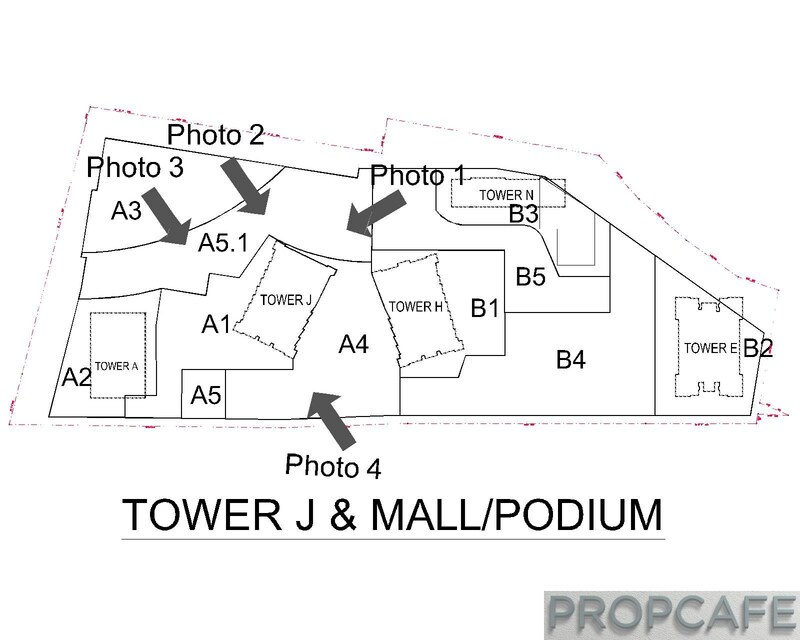 In fact, to allow for the plan amendment, the purchasers of tower H and J Duplex 2nd floor were requested to exchange the unit to other level or the deposit refunded to allow the 2nd floor to be converted to mall. Ekovest has gone ahead with the earth work even though the plan amendment yet to get approval from DBKL. With 2 towers of 28 level of duplex, 3 storeys of basement and multiple components, Ekovest recognized this is massive project even without the upgraded concept. The amended plan took one year to be approved with multiple revisions. 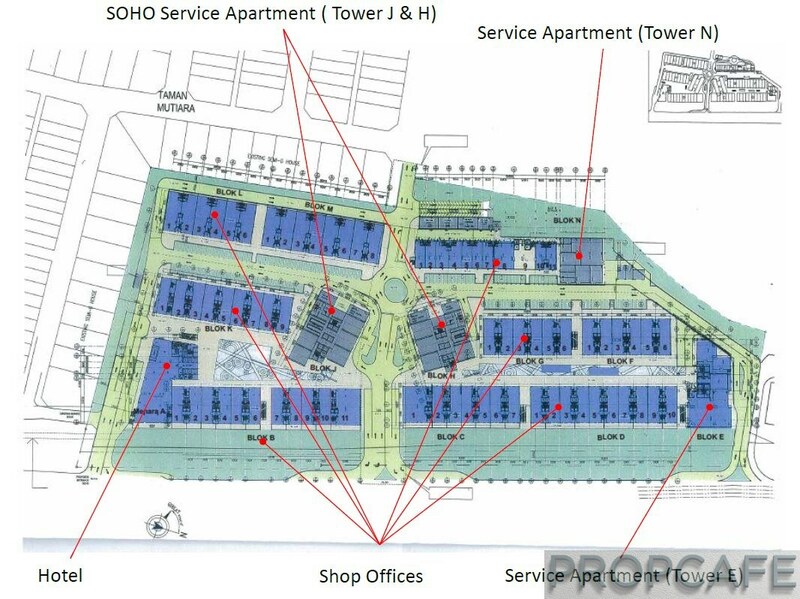 The time consuming due diligence process involved not just about the DO resubmission for approval but also the Building Plan and other related supporting approvals such Bomba Performance Based Design for Mall, Landscaping and entire site Ingress / Egress Traffic study. 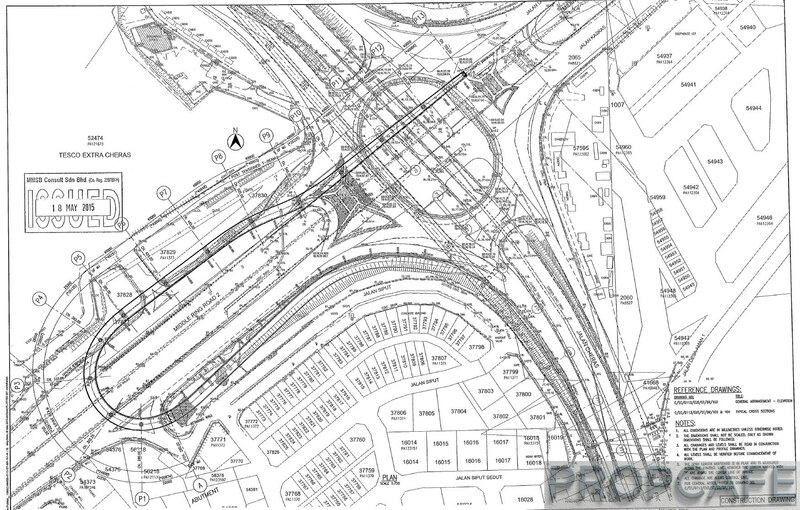 Once this amended plan is approved, obviously physical work need to be adjusted due to changes of building plan. Location of piling is changed or added. Building boundary has changed. Complexity has changed. M&E and Structural complexities increase. The changes and increase of complexities… obviously impact the progress. Some may ask why the hassle of plan amendment? The simple answer is Ekovest feels the original building plan didn’t do justice to the 12 acres of prime land and the envisaged concept. To be truly a landmark and iconic piece of development in Cheras, it needs to be more and better. And with MRT station just sit a stone away, Ekovest felt the merit to invest and upgrade the concept to mall to serve the neighbourhood. 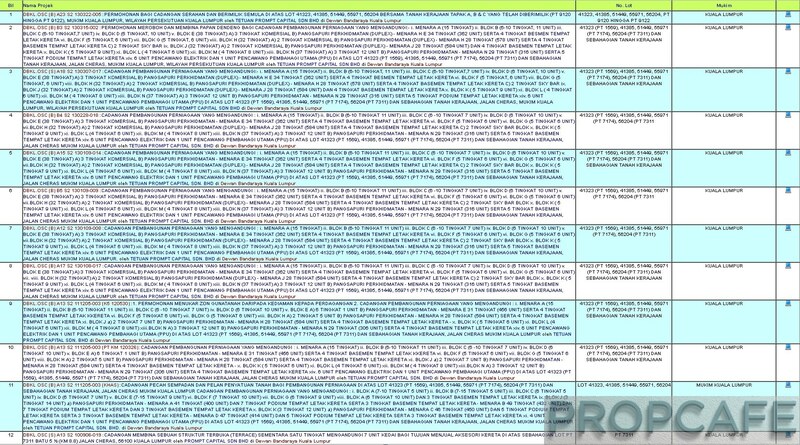 The challenges didn’t stop there… dealing with stakeholders always a key challenge in any project. 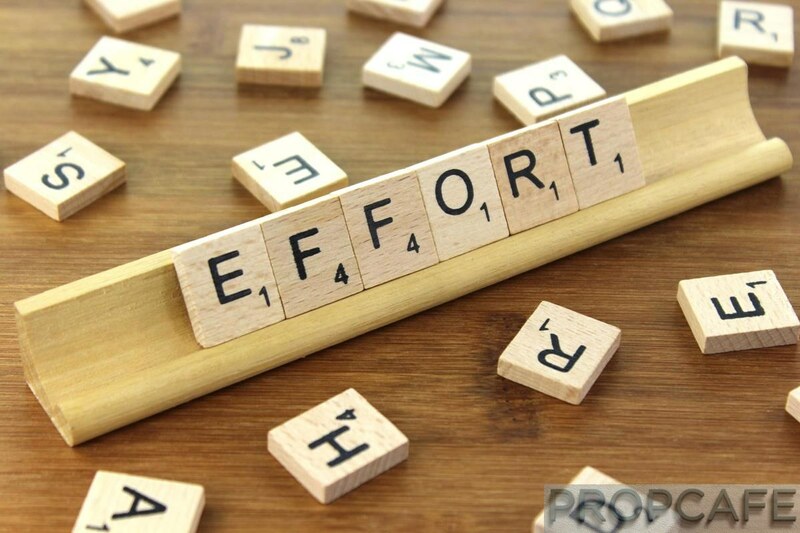 A mutual agreement and win-win situation need to be achieved for all parties to achieve satisfying conclusion and this always easier said than done due to misalignment of needs and objectives. Protracted negotiations with DBKL and residents of Taman Mutiara to relocate the Main Drain from being outside the EkoCheras site to be within the site and as the result it has impact on logistics during piling foundation stage. Protracted negotiation with another stakeholders, between DBKL and Church ( Infant Jesus Convent ) behind the EkoCheras for the access to Church. 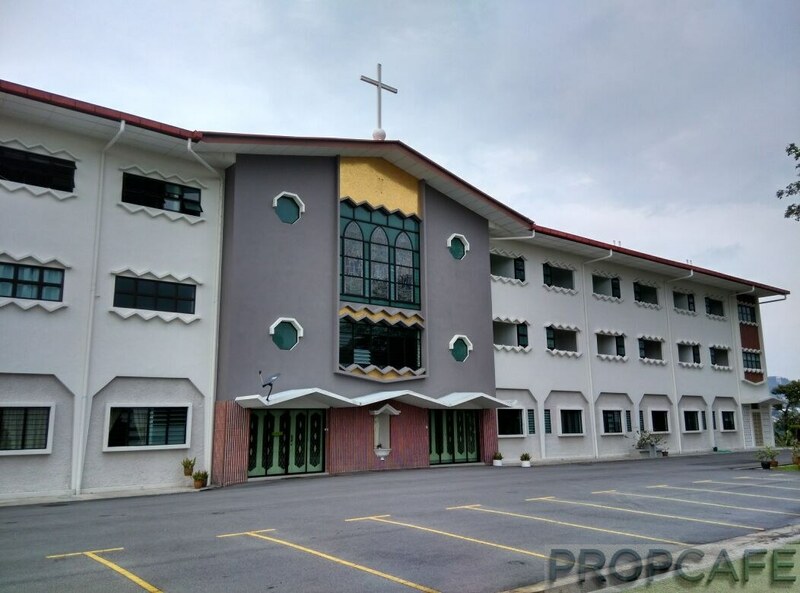 The Church has required access to Jalan Cheras to be maintained during the course of construction and this again has resulted the impact on piling foundation works commencement. Another example despite the earthwork has started, a Chinese restaurant that used to operate in the land only moved out 12 months later. Dealing with sub structure work is always complicated. You never know what you will find down there! With the construction of costly and time consuming basement parking coupled with site condition, it has exacerbated the delay on sub-structure works. Ekovest found the rock formation during the earth work especially at the tower J & H area which impacting the foundation works. Ekovest faced multiple challenges from amended plan, physical piling and earthwork, engagement with stakeholders. By the time Ekovest completed the 3 storeys basement parking of block J & H, it has taken them close to 30 months from end of 2013. And it will be miracle if they can balance development within 18 months. PROPCAFETM always a big fan from EkoCheras (if you still not aware, you can read our past review here, here and here). In our view, there are not many development with similar concept and linked with MRT in Klang Valley. 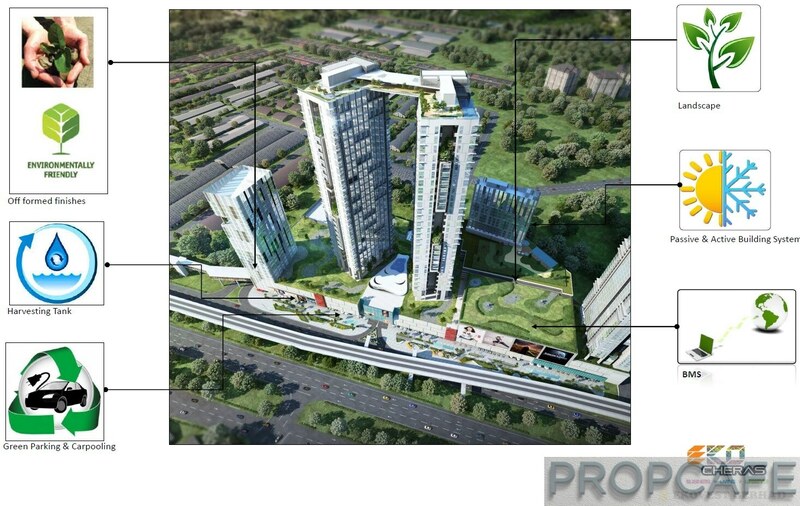 Two projects that come into the mind is Tropicana Garden and Sunway Velocity. Tropicana Garden is located in Kota Damansara where location wise is quite far apart with EkoCheras. 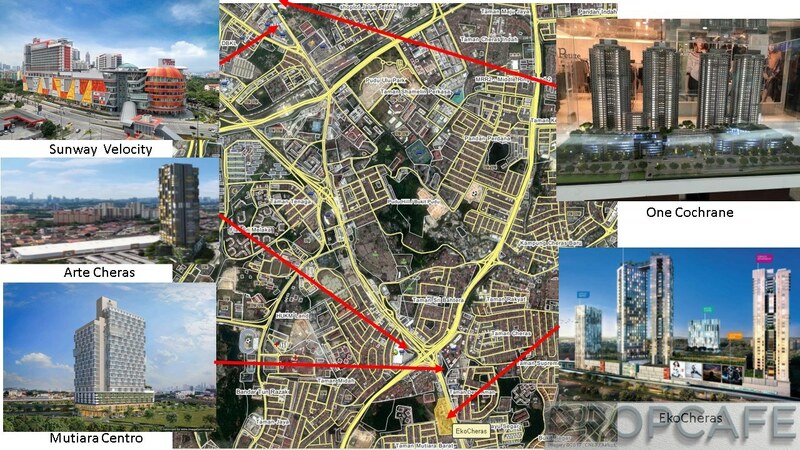 However Sunway Velocity with its integrated development concept and linked with MRT is perfect comparison. To throw into perspective, we also compare with few other developments along the stretch of Jalan Cheras albeit not Apple to Apple comparison. Along Jalan Cheras there are many new development mushroomed up. We have picked (above) few as shoot out! Obviously there are many other developments left out due to the concept, location etc. which not comparable. For example we didn’t compare with standalone residential project without any amenities such as mall or MRT even though it is newly launched. 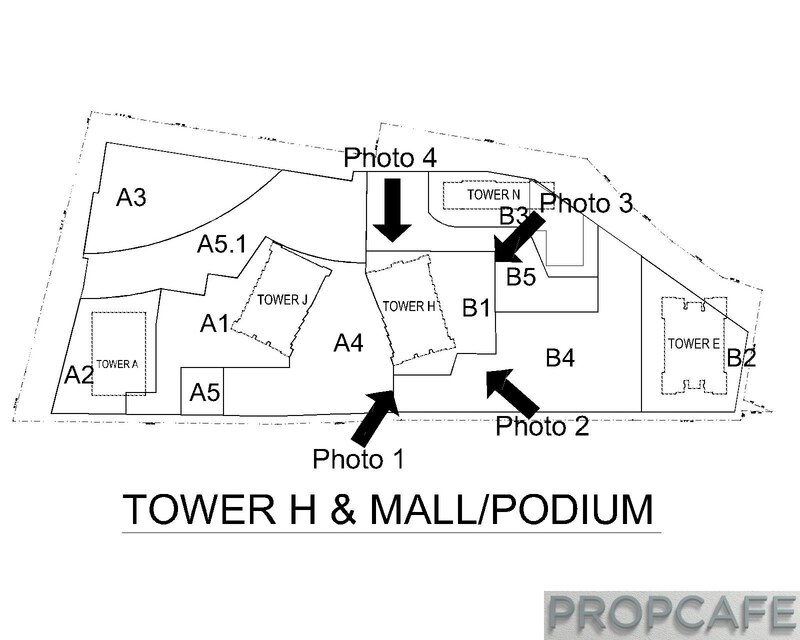 We also didn’t pick those residential beyond EkoCheras such as Maxim Majestic, YouCity, Metro Cheras as PROPCAFETM felt location and concept wise they are NOT Apple to Apple comparison with EkoCheras. Sunway Velocity, One Cochrane and Lavile located within the Cochrane-Maluri cluster which located about 5 km away from KLCC. 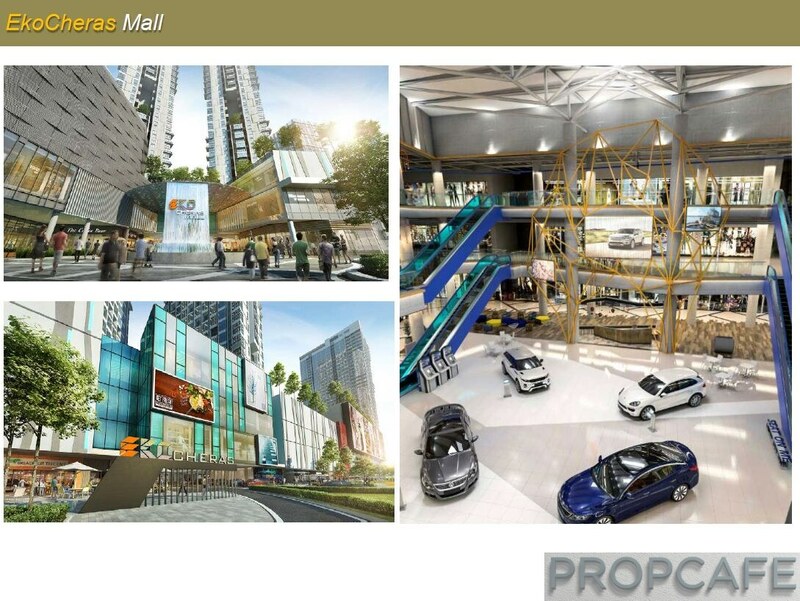 Despite surrounded by amenities such as malls and MRT station, Sunway Velocity is clearly the outstanding development. Sunway Velocity mall with 1.4 million NLA has been doing reasonably well since the opening. With 22 acres of land, the integrated development consists of 2 acres of park, Medical Centre, Hotel, Serviced apartments, shops and office blocks. 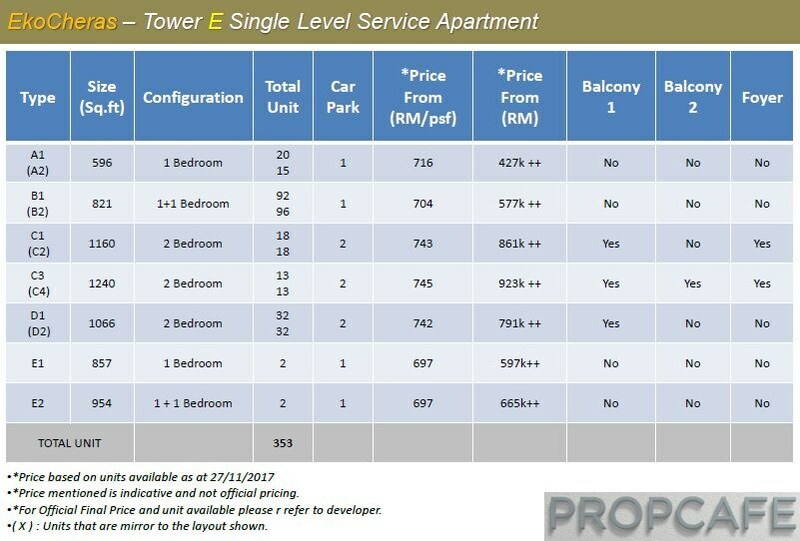 Then again the residential are priced at premium where the V Residence Suites are selling from RM1,200 psf. 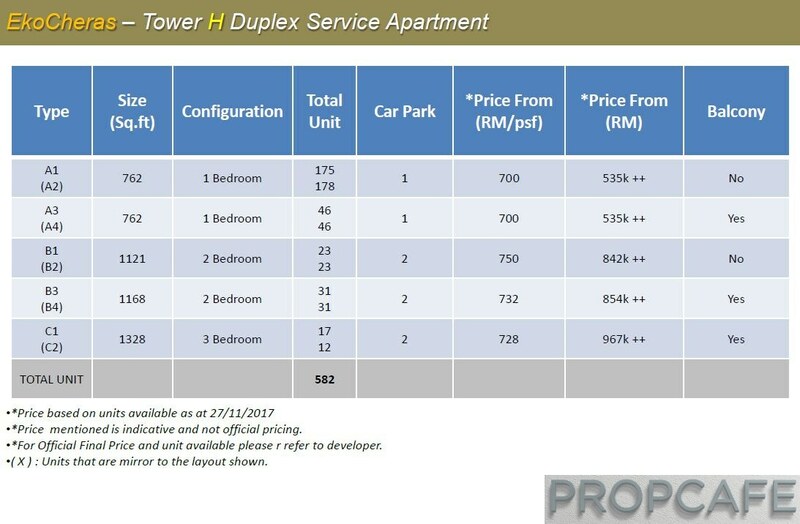 Sunway Velocity is price market leader in Cheras. Obviously with 12 acres of land, EkoCheras has much smaller land to play around however being creative, Ekovest manage to optimize the land and balancing act between commercial and residential. Ekovest has managed to squeeze in green park on mall rooftop, linear park along mall, pocket of gardens in residential blocks for the benefit not only for residents but for public as well. These green spaces total about 4 acres. One Cochrane and Lavile they are surrounded by MyTown, Ikea and Aeon and within a short distance walk from MRT station. 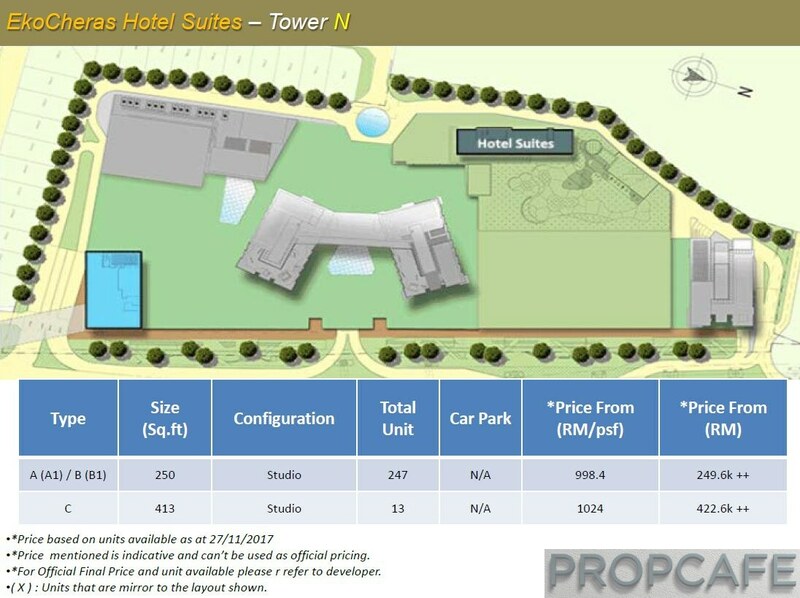 These developments are priced RM1k psf (tentatively) and RM850psf due to close proximity to KLCC. The surprise inclusion will be Arte Cheras and Metro Cheras due to close proximity with EkoCheras. These development sharing similar concept where despite office status, the unit is designed with residential in mind where bathroom, kitchen/pantry is provided. 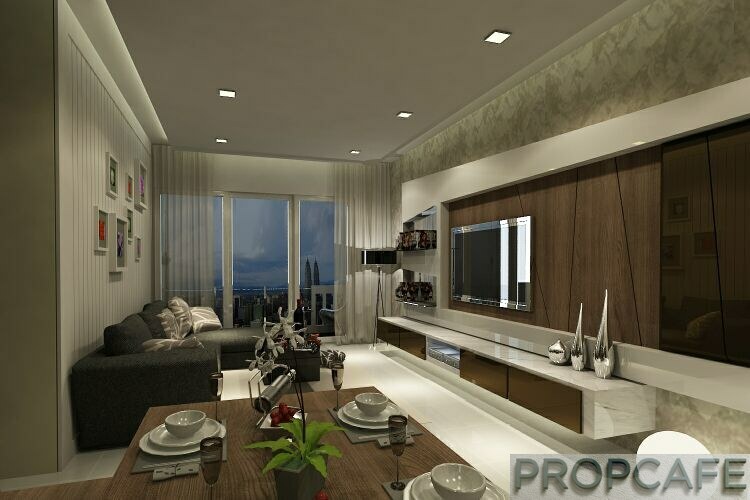 The unique feature is high ceiling where loft can be built (in case of Arte Cheras the loft is provided). 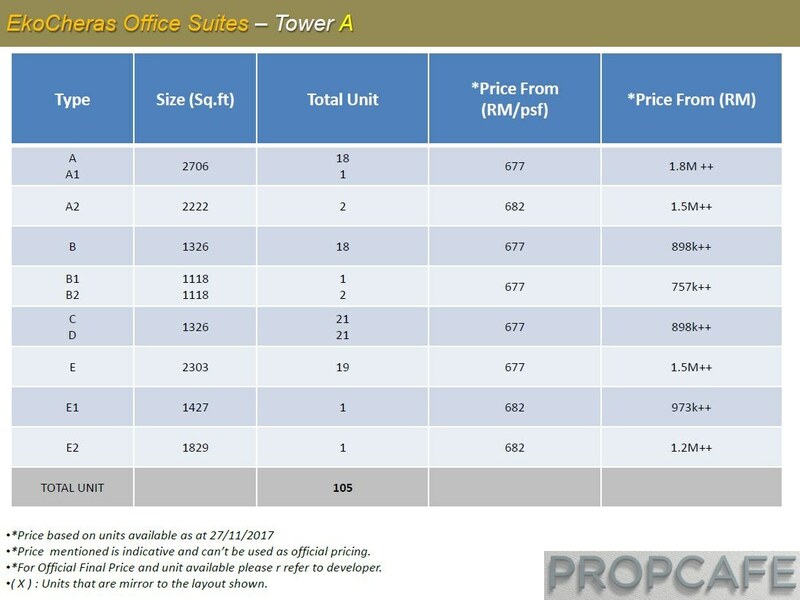 They are priced competitively from RM480 psf and RM560 psf however for a start… they are commercial and not residential development. Being commercial development, it will attract GST (unless absorbed by developer) and it will be non Schedule H development where risk is significant higher to the buyers. It will be a story of another day for Non Schedule H development. Being office suites and governed by Plot Ratio, then density can be quite scary. 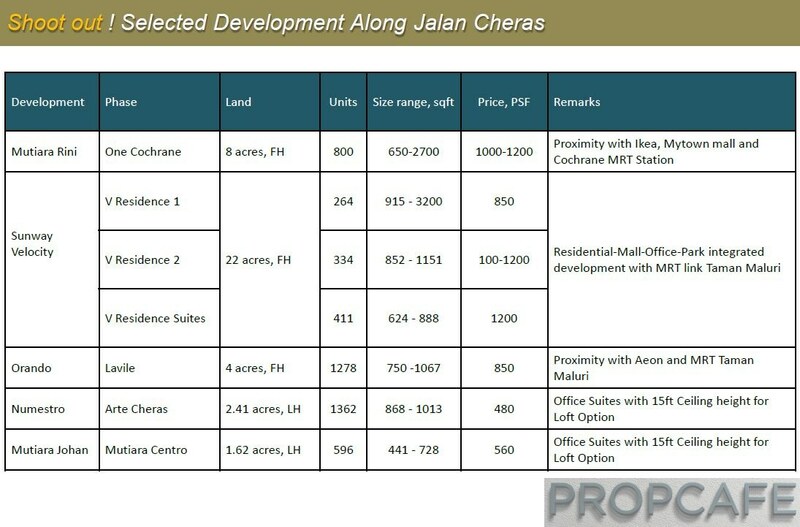 For example Arte Cheras pack in 1,362 units over 2.41 acres which work out to be 565 units/acre. And we are not even talking about KLCC…. It will be interesting to see how EkoCheras perform upon VP… Hardware wise, hard to find fault with EkoCheras however software wise equally important. For a start, Ekovest can find a branded hotel operator for the hotel component…. About developer – Who is Ekovest? Ekovest may be new in property sector but it has vast experiences and history in construction and infrastructure segment. Their most notable project would be the DUKE highway. 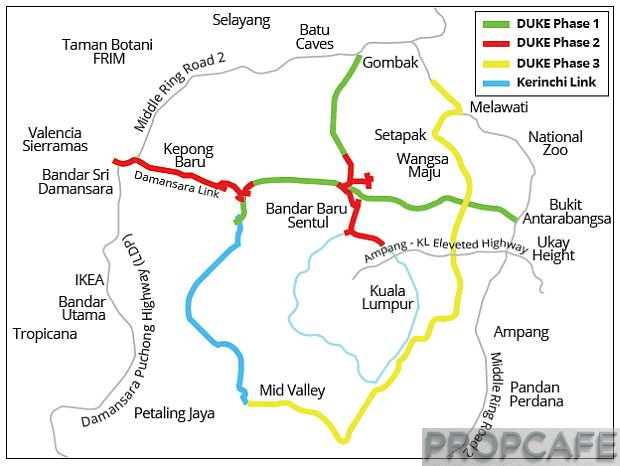 Recently, many also raised their eyebrows on how quick and efficient Ekovest completed the DUKE 2 project to link Sri Damansara to Segambut and joint the missing links between Gombak to Ampang/Tun Razak. Wow! It almost completes the key networks in Kuala Lumpur. Other than expressway project, their other key project that may add value to Klang Valley folks would be the on-going River of Life project. This river beautification project will rejuvenate the tourism activities and elevate the image and lifestyle in Kuala Lumpur. 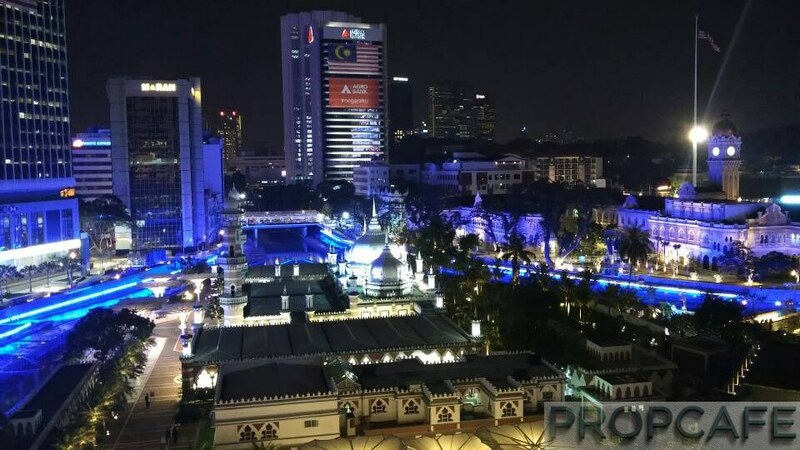 Pay a visit to Masjid Jamek at night (see photo below), you will be amazed with “blue water” and reborn of the old cultural heritage there! 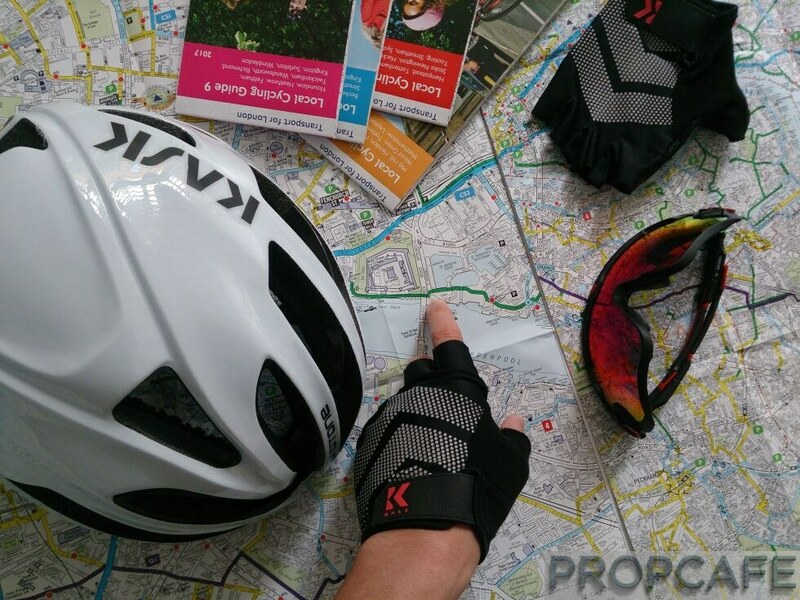 PROPCAFE™ will touch on the KL River City and River of Life (ROL) project in next article! Financial Strength – Can Ekovest complete the project? Ekovest achieved more than RM1 billion revenue in 2017 and always profitable over years. It is worth to highlight that the company has a capital and reserves of more than RM1.9 billion in its book. Given that EkoCheras is the maiden property project for Ekovest, the developer will surely want to make it good as they have other property projects and pipelines on hands. Also with the backing of local tycoon Tan Sri Lim Kang Hoo as the substantial shareholder, the abandon risk would be near to zero. 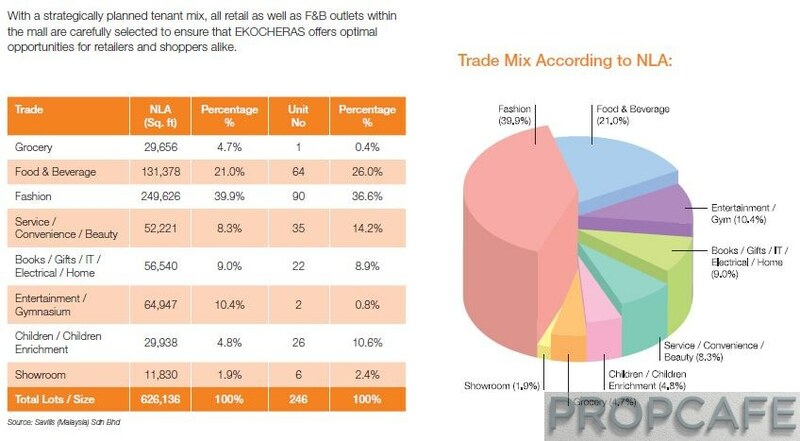 The concept of EkoCheras is offering the right product at the right location. The only uncertainty we having here is the unseen – the execution and the quality. A good project does not end after completion; in fact it is only the beginning. And for finishing the game as a winner or loser, it is very much depends on the management of Ekovest. 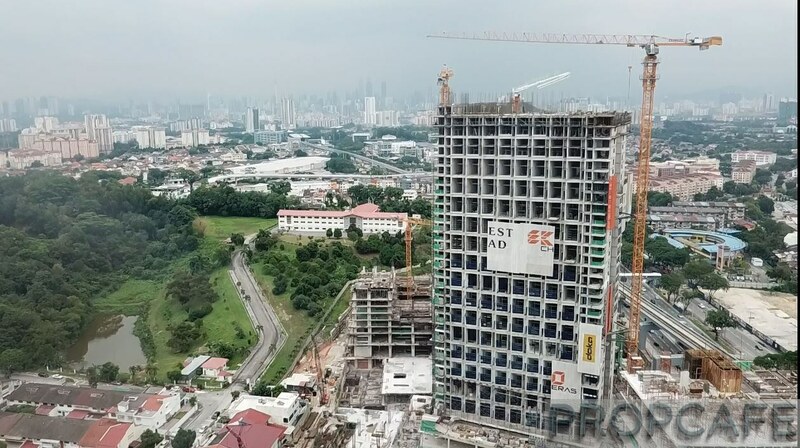 We would say there are lot of eyes watching on this project being the maiden integrated development of Ekovest at Klang Valley – this will set the fore front reputation and image of Ekovest. 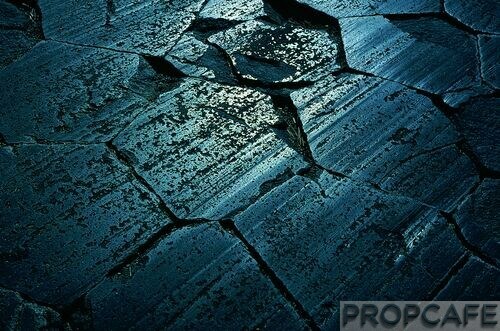 The quality and safety of product remains the major concern of the purchasers worrying that developer will compromise on the quality and safety to meet the delivery schedule which is already overdue. 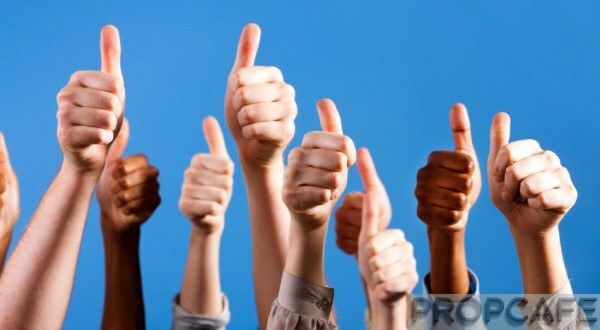 As much as the purchasers have faith in Ekovest, we hope that the developer would not let them down. The overall development master plan is beautiful and virtually self-contained, forming an ecosystem and tightly recycling everything. Although there are many “similar” developments found primarily at Klang Valley city center, there are not many present at Cheras. It is difficult to say which development master plan is the best and most complex ecosystem at Cheras ( or Klang Valley) – Integrated or Non Integrated. Both have no equals. Both are fragile yet boast unparalleled diversity. EkoCheras enjoys the best of both worlds with its new modern integrated development and existing traditional environment, making it truly the ideal destination for home lovers. Not only is it one of the few developments at Cheras that is sanctuary to human ecosystems but it also ranks among the very few that provide protection in term of sustainable green Eco-Living for other unique living treasures. Delay, delay, delay. 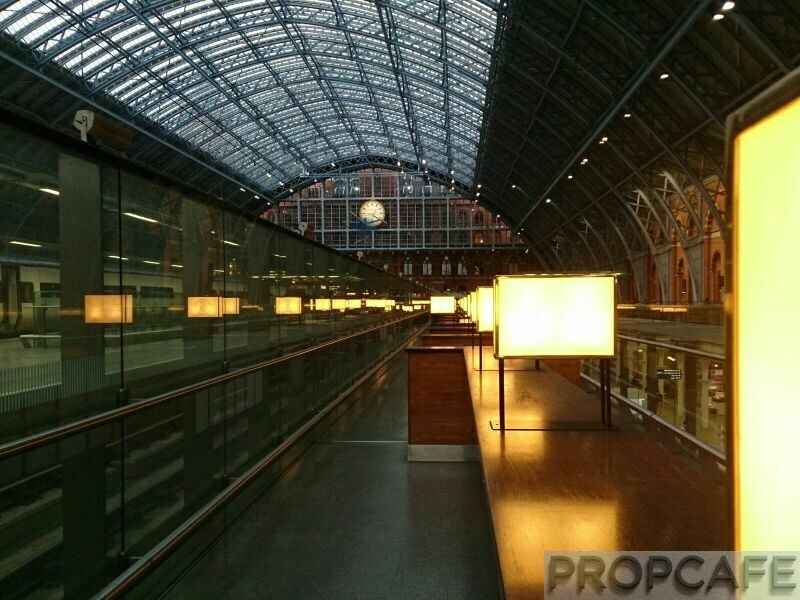 Look at the first post by prop net from year 2013. This year 2018 and the developer still constructing? If you read the article…. it was written in 2013 and SPA signing on 2014 (48 months construction period) with 10 acres project with all VPed on the same timing is rather difficult and unsual as we understand that even Sunway Velocity was built in phases over a longer time frame. If you read the article it can be well easily understood the reason of the delay. Nevertheless is off-schedule but to some people… have no complain if LAD being paid… and VPed at this market timing might also not a good time for investors 🙂 . Let’s hope that the developer will be responsible on the delay by paying off the LAD . Good luck. 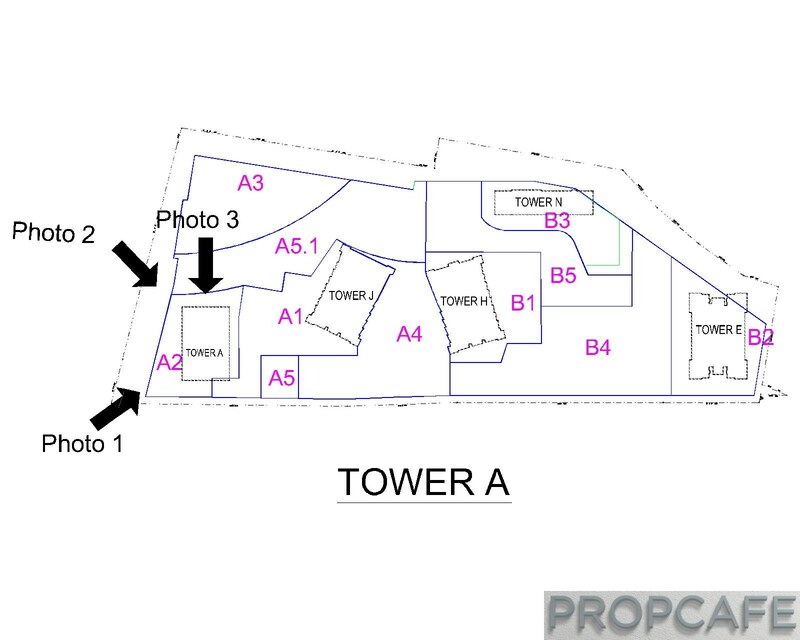 Hi, I have sales unit of Ekocheras straight from the developer for interested buyers. Do contact me at 016-770 2776 for more details.